The World Sportscar Championship (referred to by several different names throughout the years) was a worldwide racing series for sports cars administered by the FIA from 1953 to 1992. 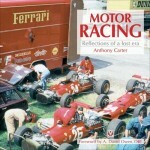 The era covered in this book would be the last for the WSC, even if it did start out as a veritable renaissance for the series and produced some of the fastest and most powerful racecars. The reasons for this development are complex and have more to do with issues of management and “vision” for the sport than with technological capability. All is explained here, with Wimpffen’s customary attention to detail. Set up as a year-by-year account the book covers the period 1982–1992, the final decade of the WSC. The brilliance of the book is not affected by my personal misgivings which surely have more to do with certain biographical moments than with any objective shortcoming of the book. Because this era coincides with the awakening of my own interest in the subject, I approach a book like this with high levels of enthusiasm but also high expectations. 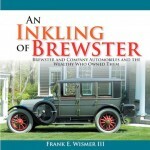 This is compounded by my familiarity with Wimpffen’s previous works, from the magisterial Time and Two Seats through the direct three predecessors covering sports cars in pictures whose high production values it shares. The present book is, in fact, intended as the fourth and final volume of Wimpffen’s photographic history of championship sports car racing. More than usually one would greatly benefit from having Wimpffen’s two-volume companion book Time and Two Seats for background data and context at hand. This publisher is usually to be commended for their thoroughness and accuracy, however there are a couple of glitches that should have been caught: a missing (top) photo on p. 94 and the need for a fuller explanation of Jose Thibault’s 1987 entry on p. 239 are examples that make one pause, but do not detract from the overall experience. Ultimately this is a sad period. I loved it, and it produced some of the finest racing that the sports car segment has ever seen, but it also came to a standstill in 1992. Where Time and Two Seats takes this in its stride it is impossible to shake here the feeling of impending doom as Monocoques and Ground Effects winds into the late 1980s and early ‘90s. The difficult times the sport is now encountering make the final pages poignant reading, the finality in 1992 not giving much retrospective hope for us looking towards the future. 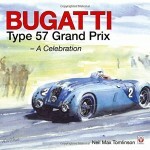 There is genius contained in these pages, no matter that in trying to summarize what to many is the golden age of sports car racing, any author would be hard-pressed to satisfy all expectations. The field of literature is hugely enriched by this book. In case you are not yet familiar with the three previous ones, know that this one has the same photo-friendly oversize format of 12 x almost 14” and thanks to high-grade paper easily weighs 8 lbs. The photos are largely new to the record (all are credited) and the author selected them from thousands sourced from all corners of the globe. 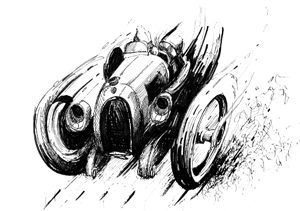 Preceding them is a section listing the 27 race venues in the order in which they first appeared along with a brief description of their history and highlights. 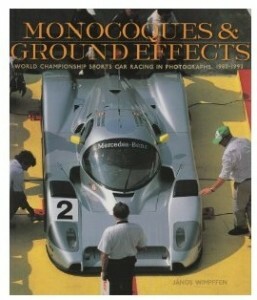 The book covers all 97 races in the WTC Group C category as well as three 1983 events that counted towards the European championship, the 1989 and 1990 Le Mans (which actually did not count towards the WTC—you can see there are grey areas . . .), and even the 1985 and 1986 Daytona and the 1988 Tampa races. Each of the 11 chapters begins with an introductory commentary, is 30–40 pages long, and each year’s events are listed in a sidebar with date, location, series and the champion/s in the respective series. If you have an affinity for the period, and ideally a large enough table where you can spread this alongside Time and Two Seats, get this book while it is still in print. Fortunate indeed are those who are able to own all four volumes for they represent a towering accomplishment of lasting value and relevance. One can only wait what will come next from the sports car sage of Seattle.